Catheters come in different shapes and sizes. 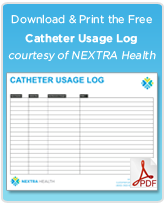 The size of the catheter will differ depending on your specific needs and requirements. The diameter of a catheter is measured in “French Units” or “Fr”. A single French Unit (1 FR) is 0.33mm. 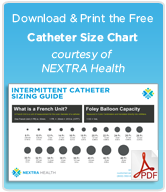 Foley Catheters also have a measurement for their balloon capacity. This measurement is in cubic centimeters and translates directly into milliliters.